Cologne - Feelings of pride, joy and dismay were all felt emanating from the various Bundesliga dugouts on Matchday 19. 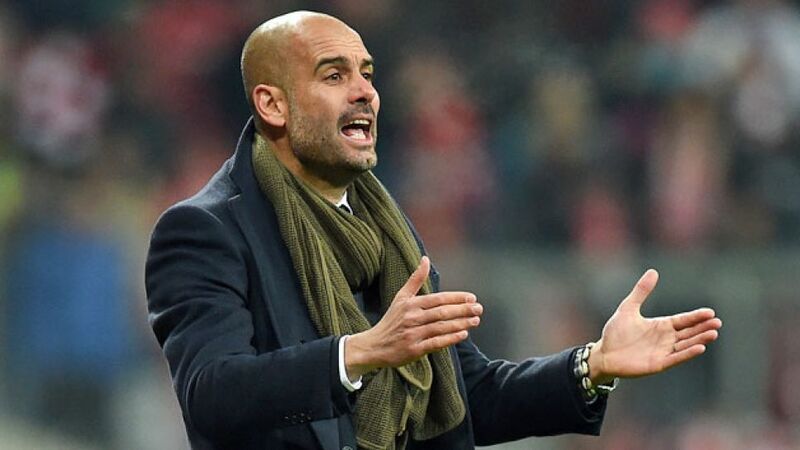 FC Bayern München 1-1 FC Schalke 04Pep Guardiola (Bayern): "I'm not happy, I'm very, very, very happy. Obviously we wanted all three points, but it's not easy playing for 70 minutes with a man down against Schalke. We controlled the game very well and we had enough chances. It was a much better performance than against Wolfsburg. Everything's ok - there's no debate about the red card. We were lucky they missed the penalty." Roberto Di Matteo (Schalke): "You can be happy if you pick up a point in Munich. That said, it's disappointing that we didn’t win. We had the chance to score from the penalty spot in the first half. Eric Maxim Choupo-Moting is normally good at taking penalties and he doesn't miss very often. Overall, our plan was successful. We gave our all and played well as a team. Bayern are a really strong side - even with ten men." Borussia Dortmund 0-1 FC AugsburgJürgen Klopp (Dortmund): "The result hurts, but we shouldn't make out like we're not at fault. We had five or six chances to clear the ball for their goal, and still [Raul] Bobadilla was left unmarked. And we're still failing to make the most of our chances. That's why there are very few positives from today's game." Markus Weinzierl (Augsburg): "There's no putting into words what the team have just done. They've made the whole of Germany stand up and take note; everyone saw BVB and thought they'd beat us. You'd probably say we're on a run - and we want it to continue as long as possible." Eintracht Frankfurt 1- VfL WolfsburgThomas Schaaf (Frankfurt): "We showed a really good reaction to the last half-hour of the game in Freiburg. My team were extremely disciplined, determined and very compact. Every individual was willing to go that extra yard. If we'd added a second just after we opened the scoring, we probably would have gone on to win the game. We knew Wolfsburg would throw the kitchen sink and it would be tough at the end." Dieter Hecking (Wolfsburg): "The draw was a fair result. We failed to take our chances and lacked a cutting edge in front of goal. Then there's the fact we went behind. We've only got ourselves to blame for that. Eintracht gave everything and made life hard for us, but we didn't play as well as we know we can. Still, the late equaliser again shows that we can always bounce back." Hertha Berlin 0-1 Bayer 04 LeverkusenJos Luhukay (speaking before being relieved of his duties as Hertha head coach on Thursday morning): "We'll process the defeat and then spend the next two days preparing hard for the game in Mainz." Roger Schimdt (Leverkusen): "I'm happy we won what was a tricky away game. We raised our game after going 1-0 up, but then Hertha came back at us. In the end, though, it was a deserved win." Borussia Mönchengladbach 1-0 SC FreiburgLucien Favre (Gladbach): "It's always really tough against Freiburg. They played better football than us today and they were really very dangerous, but we defended well. We also had two more good chances in the second half. Christian Streich (Freiburg): "We made a fatal error and lost the game. We wanted to be brave and defend high up the pitch. It didn't go well at the start. After that, my team did a lot right for 70 minutes. I'm pleased that the lads are able to deal with the pressure and play with such courage. That gives me hope." 1. FC Köln 0-0 VfB StuttgartPeter Stöger (Köln): "The draw's the right result. Neither side was willing to take any risks. We didn't play how we wanted to in the first half. It was better in the second, although we didn't create any clear-cut chances. That's why we have to be happy with the point." Huub Stevens (Stuttgart): "It was a very tactical game from both sides. We wanted to be organised and not give away many chances. We succeeded on that front. We played better and were more assured on the ball than against Mönchengladbach. I think both teams can be happy with how the game played out."